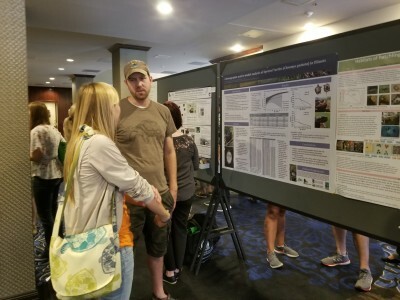 The #INHSPACELAB was well represented at the 2018 Turtle Survival Alliance Meetings in Fort Worth Texas, with 6 oral presentations and 3 posters. Baker, S. J., E. J. Kessler, and M. E. Merchant. Antibacterial activities of plasma from the Common (Chelydra serpentina) and Alligator Snapping Turtle (Macrochelys temminckii). Dreslik, M. J., E. J. Kessler, J. L. Carr, D. B. Ligon, and S. Ballard. 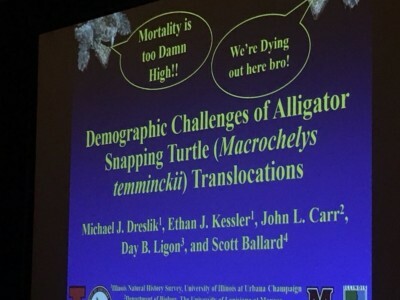 Mortality is too damn high: challenges of Alligator Snapping Turtle (Macrochelys temminckii) translocations. Edmonds, D., R. Nyboer, and M. J. Dreslik. 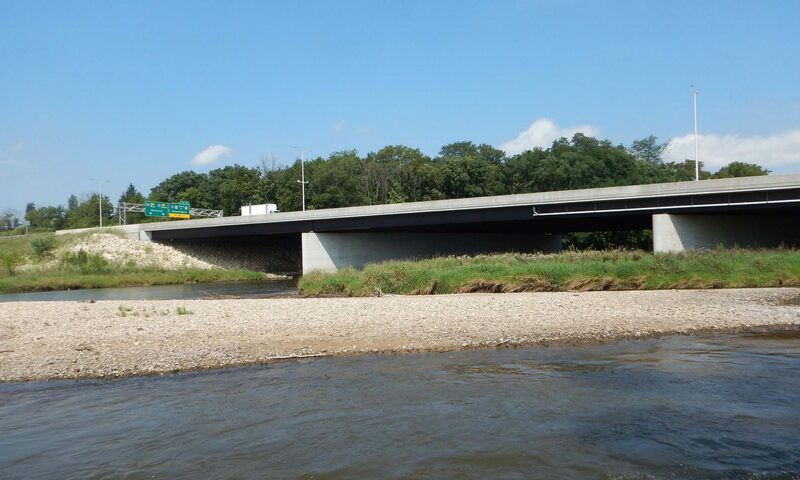 Population dynamics of the Ornate Box Turtle (Terrapene ornata) at two sites in Illinois. Kessler, E. J., K. T. Ash, S. N. Barratt, E. R. Larson, and M. A. Davis. 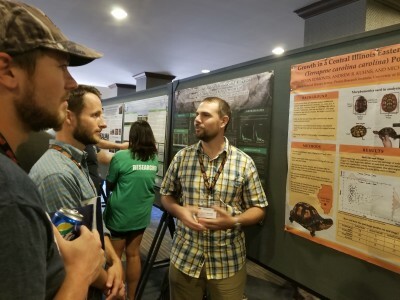 Assessing the efficacy of environmental DNA to detect Alligator Snapping Turtles (Macrochelys temminckii) at the edge of their range. Merchant, M. E., E. J. Kessler, and S. J. Baker. 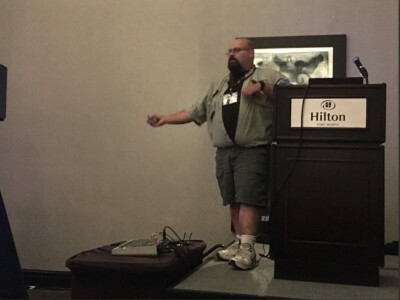 Differences in innate immune mechanisms in Common and Alligator Snapping Turtles. Ross, J. P., D. Thompson, and M. J. Dreslik. Demographic influence of head-starting on a Blanding’s Turtle (Emydoidea blandingii) population in DuPage County, Illinois. Dreslik, M. J., E. J. Kessler, J. L. Carr, D. B. Ligon, and S. Ballard. Post-release growth rates of translocated Alligator Snapping Turtles (Macrochelys temminckii). Edmonds, D., A. R. Kuhns, and M. J. Dreslik. Growth in a central Illinois Eastern Box Turtle (Terrapene carolina carolina) population. Feng, C. Y., D. Mauger, J. P. Ross, and M. J. Dreslik. A demographic matrix-model analysis of Spotted Turtles (Clemmys guttata) in Illinois. Next PostNext It’s Mussel Time!